Triumph Mercury Heart | Sanford Neon! 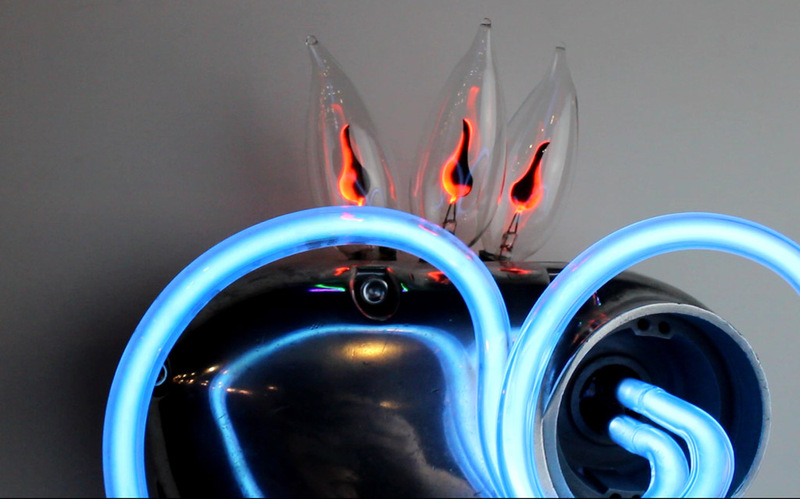 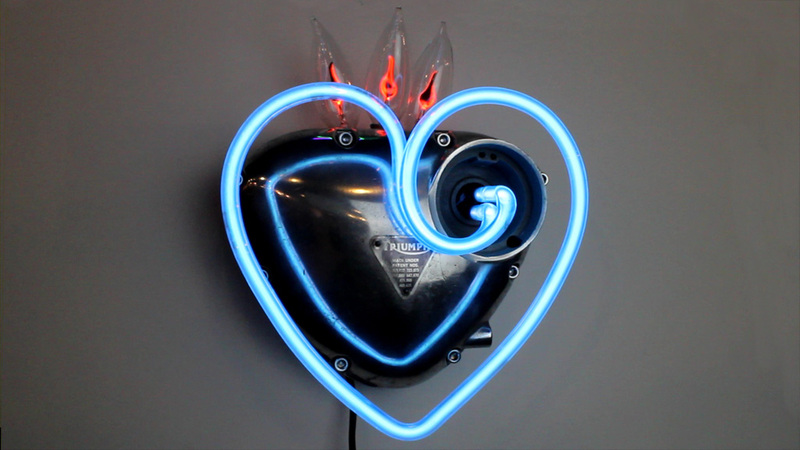 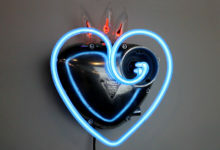 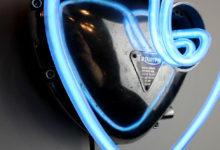 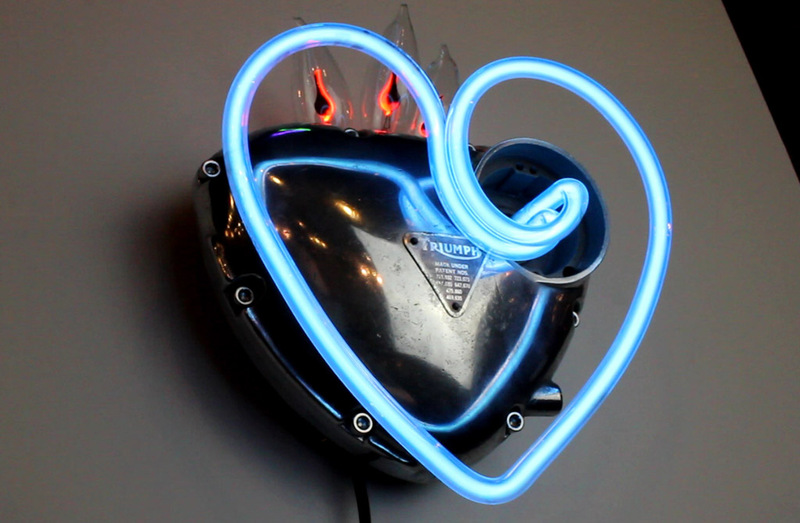 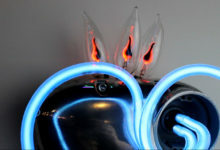 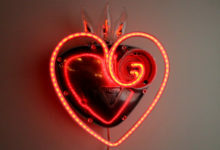 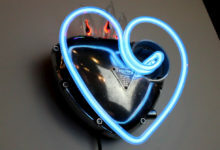 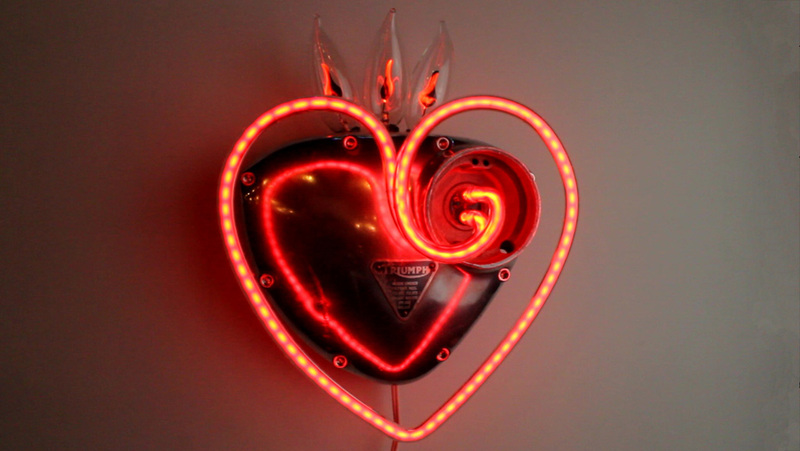 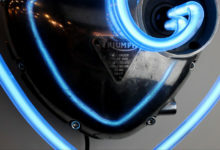 Triumph Mercury Heart neon sculpture glorifies the engineering and design challenge of the internal combustion engine. 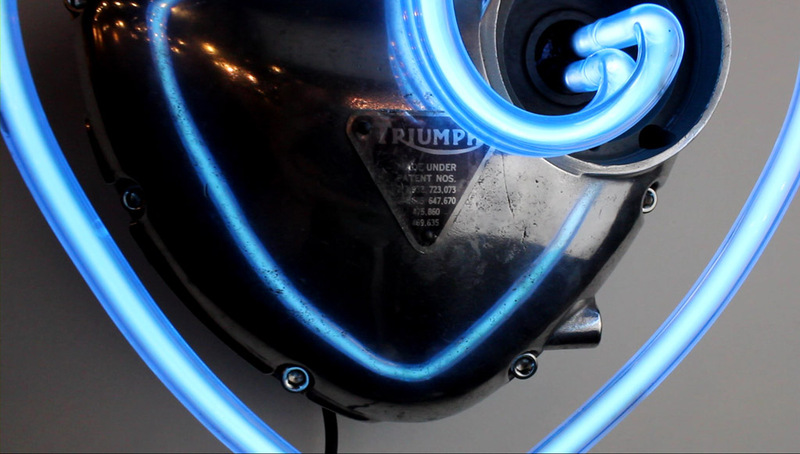 Form and function of the Triumph engine is considered by many to be the pinnacle of mechanical beauty..
Leaded glass, filled with argon, neon & mercury create the steely blue heart.